This review first ran in the Nov. 11 edition of The Hamilton Spectator. Show him how to fish and you feed him for a lifetime. Be the one who supplies the fish, poles and tackle and you’re set for life. It’s the lesson we need to start teaching our kids, according to author Robert Kiyosaki, who’s also penned the best selling Rich Dad, Poor Dad series. “The world of the future belongs to those who can embrace change, see the future and anticipate its needs and respond to new opportunities and challenges with creativity and agility and passion,” says Kiyosaki. So are we preparing our kids for that future? Are we training them to be employees or entrepreneurs? Are we teaching them to climb or build corporate ladders? And are we showing them how to work for money or have money work for them? 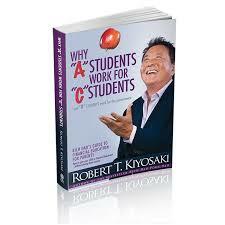 Kiyosaki says we need to stop telling our kids to go to school to get a good job. The focus should be on going to school to learn how to create high-paying jobs. True capitalists are entrepreneurs. They fundamentally believe that the more people they serve, the more effective they become. They risk everything to launch companies, create jobs and build prosperity. So how do we help more of our kids think like entrepreneurs rather than employees? Reading Kiyosaki’s book and playing Monopoly, with its rent-generating green houses and red hotels, are good places to start.